What Is Palantir, and Why Is It Worth $20 Billion? Buzzfeed News reports that Palantir Technologies is raising $500 million on a valuation of $20 billion, making it the third-largest startup in America. “Its worth is surpassed only by Uber,” according to the report, “which is said to have a $50 billion valuation, and by Airbnb, which was recently reported by the Wall Street Journal to be raising money at a $24 billion valuation.” While the business models for both Uber and Airbnb are fairly well-known (i.e., apps for spending time in other people’s property, awkwardly avoiding small talk, and wondering if it’s all worth the few bucks you just saved), Palantir is a bit of a mystery to many. That’s what Palantir software is designed to do. It collects and synthesizes the data, helping government employees stop plots before they’re carried through to execution. Artificial intelligence is not running the show. Reportedly, the hands of human beings are firmly at the helm, which also helps protect civil liberties. 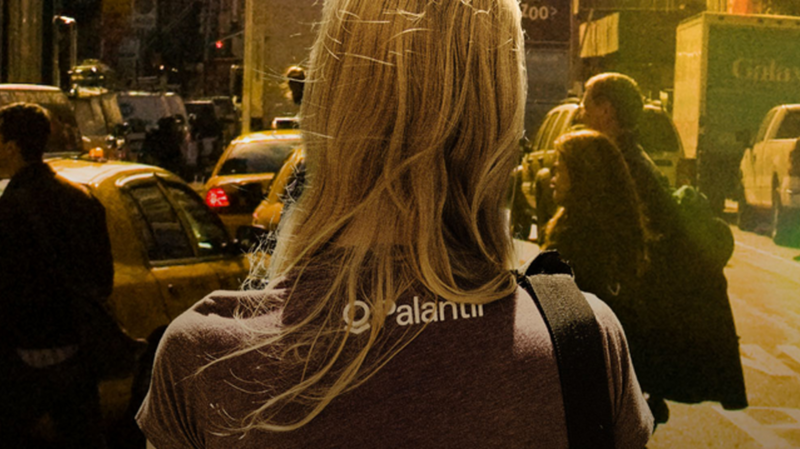 By many reports, Palantir’s software is the best on the market today and works extremely well. The company counts among its successes derailing a massive, global web of cyber intrusion by the Chinese government; predicting the locations of improvised explosive devices in Afghanistan before the bombs could go off; helping J.P. Morgan fight fraud; and bringing together the salad bar of databases of the American intelligence community, enabling analysts to work from cohesive intelligence. In his final address as president of the United States, Dwight Eisenhower warned that “only an alert and knowledgeable citizenry can compel the proper meshing of the huge industrial and military machinery of defense with our peaceful methods and goals, so that security and liberty may prosper together.” Critics of Palantir basically claim that they are the entity about which Ike was warning us. After all, our new $20 billion behemoth counts as its customers the Department of Defense, the Central Intelligence Agency, the National Security Agency, the Federal Bureau of Investigation, and major metropolitan police departments. If spies, armies, and the local fuzz need a mysterious product designed to drill into data about pretty much everything and that can be used against pretty much anyone, someone can claim to be “knowledgeable,” but it isn’t necessarily the citizenry. The company’s name comes from Lord of the Rings. Remember those orbs that Sauron used to see people in Middle Earth? The orbs that controlled anyone who touched them? The orbs that could read people’s minds? Each of those orbs was a palantír. If it was good enough for the Dark Lord of Mordor, it’s good enough for the U.S. government.